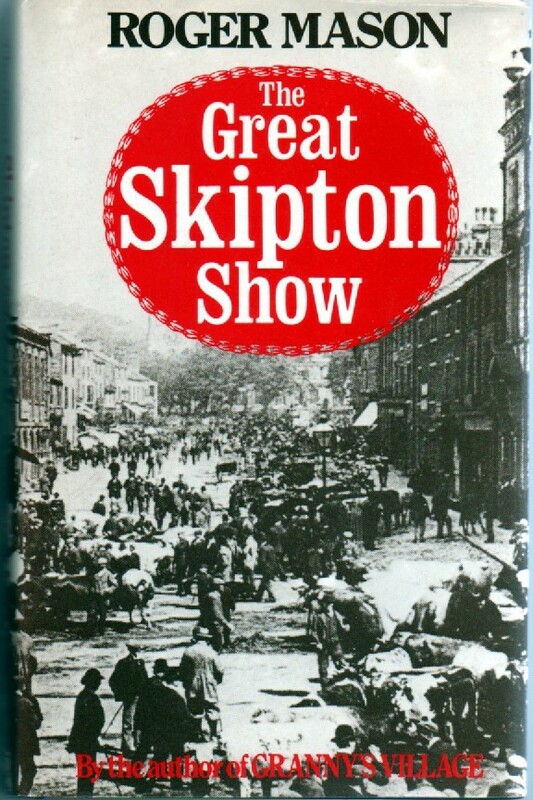 I put it on the shelf with the other Yorkshire books ready for when I finished whatever I was reading at the time and there The Great Skipton Show by Roger Mason has remained for several years since. Until now. 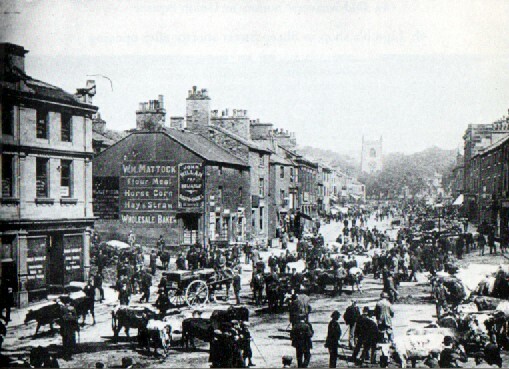 As I made vague plans for my exploration of Yorkshire this summer, Skipton seemed to offer an interesting day out so I dusted off the book and started to read. What a surprise. “At the top, just below the churchyard wall, the fellow stopped to wipe his brow. Then the long squeaking note of a badly fixed wheel died away and a chorus of squeals rose to a crescendo. ‘Must have a litter o’ pigs in that barrel,’ thought Joady, and wrinkled his brow, for he hadn’t much time for pigs, they were too much like folk, noisy, greedy, pushing, never letting you alone. The man trundled his hand-cart forward a short way, then halted above the sheep pens. He rested the trolley on its legs and edged the half barrel over. It rocked to and fro for a moment before dropping suddenly to the ground with a thud. The yelps and squeals were redoubled and a circle of small snouts rose above the rim in noisy protest. Joady chuckled at the sight, thinking how like they were to the upturned faces of the choir-boys in church when the parson clipped an ear or two for whispering. The man threw the sacking back over his livestock and, after stretching himself, wandered up to the churchyard to take a seat near Joady. ‘Not many folk about…’ he said, tentatively. ‘Nobbut once,’ the pig porter muttered laconically in reply before resuming his slump, chin on knuckles. I’ve enjoyed it so much that I’ve ordered second-hand copies of Roger Mason’s other books, Granny’s Village and Plain Tales from Yorkshire. But I can’t find anything out about him. Anyone able to fill in the details? ‹ Is there a better way to remember Thomas? He is my mums cousin! I will try and find out some info for you.